"World Prep" is what you find here: an education, programme, and faculty that are born of the new world yet built on our classical roots to offer students a forward-looking and rigorous university preparatory education relevant to the most selective college and universities around the globe. Alumni have attended top universities in Canada, the United States and UK, including McGill University, the University of Toronto, Boston University, University of Pennsylvania, Stamford, St. Andrews University, the London School of Economics, and Cambridge University. 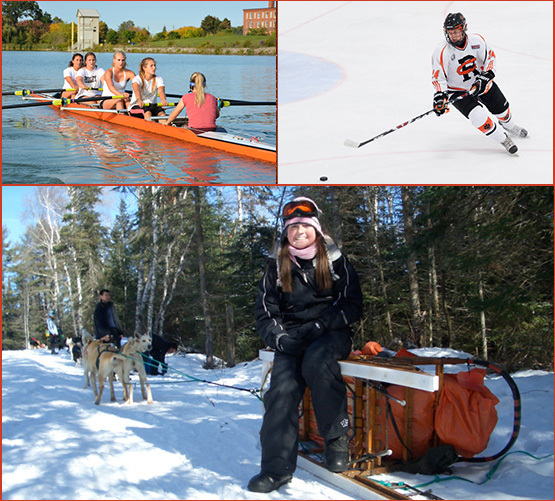 Ridley College offers the International Baccalaureate and the Ontario Secondary School Diploma. 108 acres with the newest facilities, including an athletic complex opened in 2010, playing fields, labs, two theatres and modern classrooms with the latest technology, Ridley's historic campus is located 45 minutes from the Toronto Airport and, a few minutes from Niagara Falls. With over 320 boarders from over 40 countries, Ridley is Ontario's largest boarding programme and the third largest in Canada. There are ten boarding houses on campus: five boys houses, four girls houses and one junior boarding house. On the weekend, after Saturday morning classes, students can go on a Duke of Edinburgh excursion - horseback riding, dogsledding, and canoeing trips are held annually or head to New York on an art trip. Spirit nights at home games, dances, and theatrical performances are regular events on campus. Beyond the academic program is a diverse extracurricular activity programme in the arts, athletics, leadership and, most importantly, service. Ridley College holds close to its motto, Terar Dum Prosim, or "May I be consumed in service." Students have traveled to Jamaica with Missionaries of the Poor as well as China and El Salvador with Habitat for Humanity. Extracurricular opportunities for students include 15 interscholastic sports and over 75 student clubs and organizations. The many student clubs available include newspaper, chapel servers, Duke of Edinburgh program, fencing, film club, art curators and many more. Finally, a number of leadership opportunities exist for students to pursue, both within the clubs but also leadership in the houses and School Prefects. We welcome the opportunity to host you on campus and assist you in discovering the legacy of a Ridley education. Lace up your skates and enjoy our new $15 million rink. If theater is what you love, talk with our drama students who traveled to Germany. While there they staged a production in different venues and met Ridleians from all over Europe. Try your hand at the controls of our robot in the new Robotics Lab. Go to Biology class and check out our work with DNA. Attend a House meeting and meet potential friends from across the globe. Talk to our university placement experts. Take a tour. Picture yourself here. 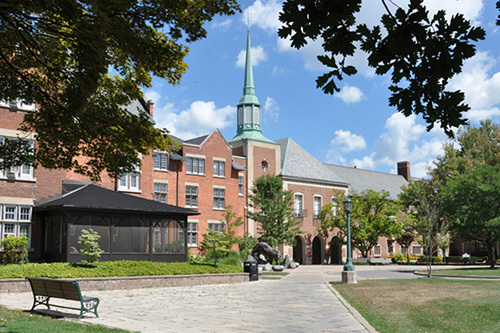 For now, join us on Facebook and follow us on Twitter @Ridley_College and to get some insight to get you started, visit us at www.ridleycollege.com or email us at [email protected]. We look forward to hearing from you and introducing you to this legacy that could be yours.